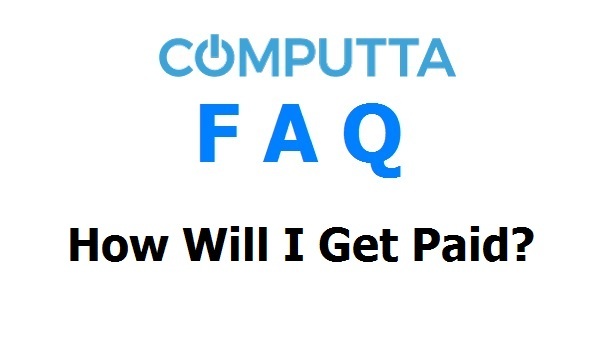 You can request to be paid when your earnings reach our minimum payout amount. The current minimum payout is 3mBTC which is approx an equivalent of $18 ( as of fall 2018). Since your earnings are all generated, denominated and stored in Milli Bitcoins (mBTC), your USD balance is calculated based on current exchange rate on the most popular cryptocurrency exchanges. 1. Bitcoin Withdrawals. Once your total earnings on your account will reach the minimum amount stated above, you will be able to request a withdrawal payment from within your account’s Payments tab. We will pay directly to your Bitcoin address on file. You will need to provide your Bitcoin Address even if you want to send directly to your crypto exchange account. You should check your exchange account to find how to generate a Bitcoin Address. Please bear in mind that not every exchange requires Bitcoin address to receive Bitcoins, but if it does, be sure to fill it in, or the payment will be at risk of not reaching your exchange account and we will not be able to retrieve it in most cases. A verification email will be sent to you to verify your withdrawal request and check your Bitcoin Address, amount and your email. After you verify it thru the provided link, the BTC transfer will be made within 24 hours. After you receive your Bitcoins, you can exchange them to USD or any other fiat (normal) currency you like right on your favorite crypto exchange or on services like LocalBitcoins.com (not affiliated). Or you can use your Bitcoins to make payments for goods and services online and offline where BTC is accepted. 2. We also have withdrawals directly to your mobile phone balance – mobile top up! You just need to choose this method, enter your mobile phone number in the international format and our system will recognize your provider. Then you just choose the amount in mBTC you want to withdraw and verify it in the email you will then get. This amount in your local currency will be added to your mobile phone balance within 24 hours. 2. We are also working on adding withdrawals via Amazon Gift Card for amounts less than $100. It means that if your withdrawal amount is more than the required minimum and less than $100 you can choose to receive an Amazon Gift Card in set values of $25, $50, $100. You can then use this car to pay for goods on Amazon.com and other local Amazon sites. We are working on this solution and it will be announced when ready. You will then see this option in your account’s Payments tab. This payment solution will be announced when ready. You will see this option in your account’s Payments tab when ready.